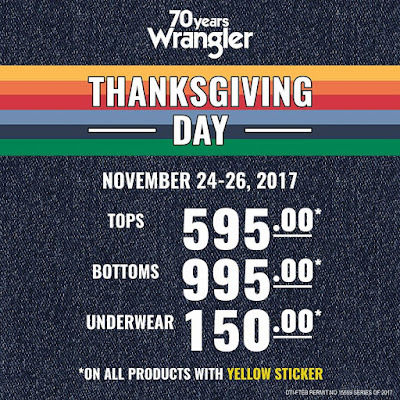 Wrangler's Thanksgiving Day Sale is back! 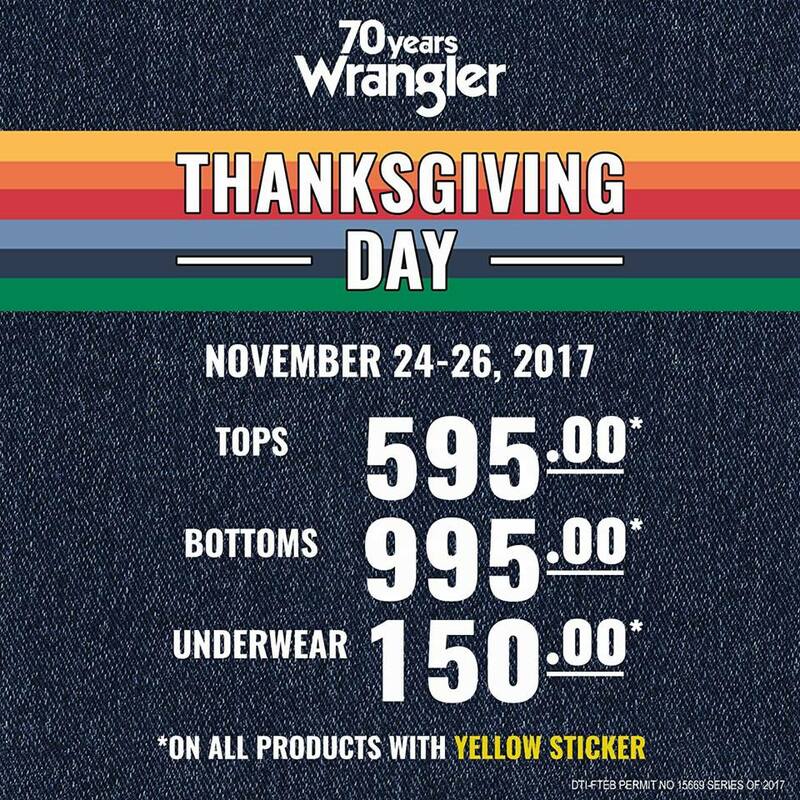 Get your favorites for less and be ready to go to your nearest Wrangler store from November 24-26, 2017! Promo is also available at lazada.com.ph/wrangler and zalora.com.ph/wrangler.